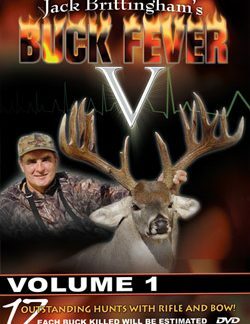 Feel your fever rise in this whitetail rush of adrenaline as Buck Fever V explodes on the screen with the biggest wild bucks ever taken on camera. 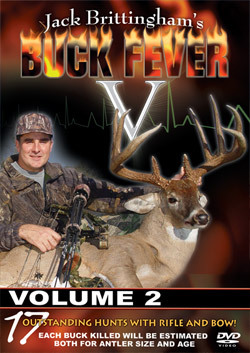 Briar Lakes Productions continues its outstanding tradition of giving you the ideal blend of genuine heart-pounding hunting action with world class whitetails from the cottonwood river bottoms of Oklahoma and Kansas to the sprawling cactus patches of South Texas with a sampling of forested heartland in between. 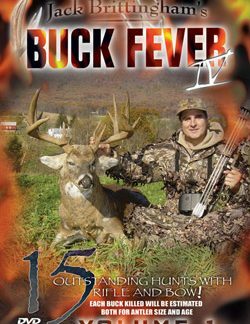 Join your hosts Jack Brittingham and Richie Bland with family and friends in the whitetail stand as they discover the thrills and disappointments of matching wits with America’s most alluring and challenging big game animal. 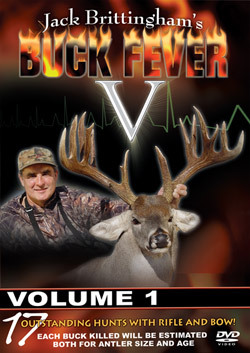 Each volume of Buck Fever V is loaded with 17 exciting hunts where you’ll get expert advice on field judging adult bucks for both age class and antler size. 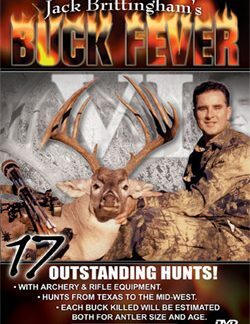 Because of the outstanding response to last year’s contest, we will again be giving away a Free Trophy Whitetail Hunt in South Texas! See the details inside box.